After years of tinkering, and cries from the industry of “hands off our super”, there was a collective sigh of relief when Scott Morrison confirmed in Budget 2018 that there would be no major changes were announced to superannuation. But it still pays to examine measures that passed under the radar and how they could affect you. Morningstar reporter Emma Rapaport attended a media roundtable with accounting firm HLB Mann Judd to discuss the key budget takeaways for trustees. The budget confirmed an earlier announcement from Financial Services Minister Kelly O’Dwyer that the number of members allowed in an SMSF would be expanded from four to six. O’Dwyer said the change would allow for greater flexibility and that, given the growth in the sector, would “ensure SMSFs remain compelling retirement savings vehicles into the future”. This reform will remove the four-member cap on SMSFs and and will begin on July 1, next year. 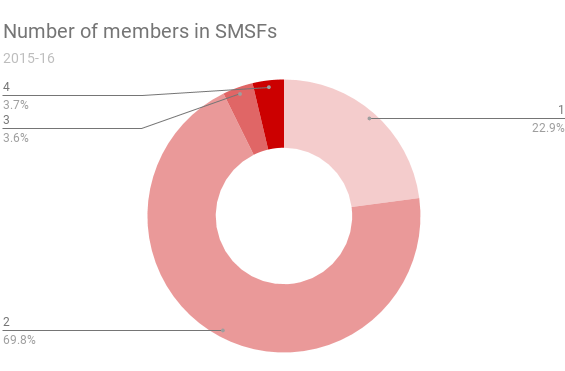 SMSFs in Australia are predominantly made up of two people – the classic “mum and dad” fund. This reform could potentially now include four children as well. HLB Mann Judd director and head of SMSF Andrew Yee concedes the reform will allow greater flexibility for larger families but he questions the impact it will have on the industry. “We don’t think that will change too much in terms of people taking up SMSFs because by and large currently it’s two-member funds anyway,” Yee said. Yee says the reform will benefit families who want to use their SMSF to buy a large, non-traditional investment such as property. “With more members you can get more money into the super fund, and if you have a large asset that you need to invest in you’ve got an extra member,” Yee said. But Yee fears a six-member SMSF account could be an administrative nightmare for accountants. Building an investment portfolio that suits everybody would be a challenge, let alone reaching a consensus on decision-making, and signing off on the annual account. The idea of increasing the number of SMSF trustees, or changing the definition to say “all members of a family regardless of number”, was first suggested — but not accepted — during the 2009-10 Cooper review. Hidden among the mountain of budget papers was a crucial detail, missed by many commentators: from July 1, next year the government will allow SMSFs to move from an annual audit cycle to a three-year cycle. The measure will apply to funds with a good history of compliance, which is loosely defined as three consecutive years of unblemished audit reports and timely lodgement of annual returns. Reactions to the measure have been mixed. SMSF Association chief executive John Maroney describes the red-tape-cutting measure as a “positive step” and a “fitting reward for trustees who strictly adhere to the regulatory regime”. Others, including accounting firm BDO Australia, fear that reducing red tape could result in an increase in inadvertent and unrecognised SMSF non-compliance. “This could ultimately lead to increased costs for SMSFs to rectify longer outstanding non-compliance matters,” BDO warned. He even suggests the measure could be a precursor to the removal of audits for SMSFs in the future. HLB Mann Judd partner, personal wealth management, Michael Hutton also dismissed fears that two years without audits may lead to compliance issues being left behind. “SMSFs will still be required to complete quarterly reporting, yearly tax returns, and give in minutes and resolutions and investment strategies,” Hutton said.